Consuming high amounts of sodium is directly related to the risk of diseases such as high blood pressure which in turn results into heart disease and stroke. 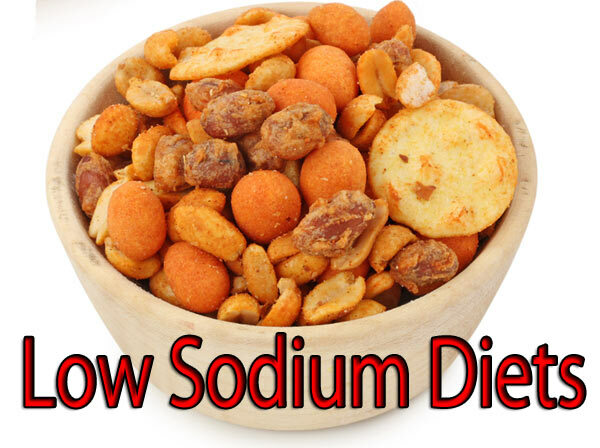 This makes it inevitable to maintain a diet that is low in sodium. It can be fairly easy if only a few precautionary measures are taken into consideration when purchasing food on a daily basis. One of the most evident and major source of sodium is ordinary table salt. If you are using only one teaspoon of table salt every day, you should be alright. However, if you cannot keep the amount of consumed table salt under control, consider using a low-sodium salt since it contains less than 20 milligrams of sodium per 100 grams of salt. It would be best if you can altogether give up ordinary table salt and start using sea salt because the former has very low sodium content naturally. Limit the usage of canned foods and prefer using fresh foods instead. Moreover, if using canned foods is inevitable for some reason, never sprinkle salt onto them before eating because they are already loaded with sodium. Consumption of processed foods such as smoked/cured meats and sauces should be cut down as much as possible. However, if nothing but processed foods satiate your taste buds, it would be wise to opt for a low-salt version. A widely overlooked source of sodium in our routine diet it milk. It is a fact that 127 milligrams of sodium is present in a single cup of non-fat or skimmed milk. The level of sodium in canned milk is even higher. That being said, milk contains nutrients and vitamins that are important for a healthy body. For this reason, intake of milk cannot be given up altogether, yet controlled. Before you purchase packaged frozen food, be sure to check the labels to determine the amount of sodium present. Keep in mind that the quantity written on the label is for one serving. This means that if the pack you are buying contains two servings, you will have to double the amount of sodium written on the label. Use herbs such as garlic, oregano, basil, onions, rosemary, and black and red pepper instead of condiments, especially pickles.